Don Bosco Navajeevan Bala Bhavan (DBNJ) is a Registered Charitable Society (Regd. No. 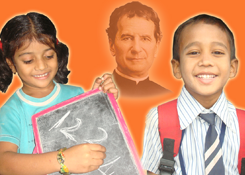 1095 of 2005) for the Young at Risk, run by the Salesians, who in the path of Don Bosco their Founder, engage in activities for the welfare of the young, especially the poor and the maginalized. 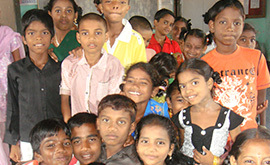 It is a child-friendly Centre started in the city of Vizag in the year 1999. DBNJ strives to reach out to every child in difficult situation with unconditional love and support. This mission finds its expression in activities such as Street Presence, Advocacy, NIght and Day Shelter, Counselling, Home and Job Placement, Education , Training and Rehabilitation. 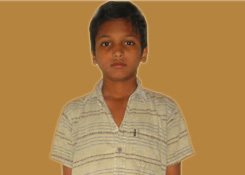 WHO IS A STREET CHILD? A street child is one for whom the street becomes the only refuge with little of security but lots of dangers. Miserable conditions like poverty, malnutrition, broken home, ill treatment by parents, step-parents and other such factors drive him to the street. The street where he hopes to find a better place exposes him to a variety of physical and moral dangers like sickness, violence, abuse, exploitation, drug addiction, etc.